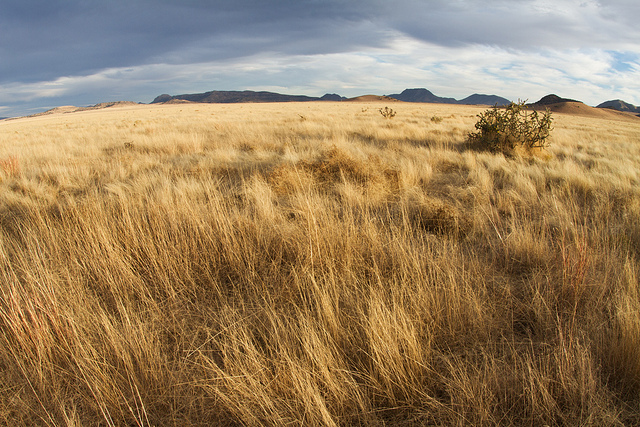 How have policies and attitudes contributed to the shrinking of America’s grasslands? That question is the focus of a $1.4 million grant awarded to a team led by Bradford Wilcox, a Texas A&M AgriLife Research ecologist. “Slowing the Expansion of Woodlands and Increasing the Resilience of Grasslands in the Southern Great Plains” is a three-year project funded by the National Science Foundation. Wilcox explained the project came about because large areas of the central and western United States have seen woody plants spreading into grasslands used mainly for raising livestock. These grasslands have substantially changed in recent decades and now face a host of contemporary threats. Previous research implicated change in climate and grazing pressure as contributing factors, he said. This project extends that work to include effects of governmental policies and social attitudes toward the use of fire to keep grasslands open, and to include the impacts of conversion between grassland and woodland on ecological services and resultant economics. Researchers will compare three regions with contrasting degrees of woody plant encroachment in Kansas, Oklahoma and Texas to test the hypothesis that changes between grassland and woodland are driven by interactions between fire and grazing regimes constrained by policy and culture. Land cover change fundamentally alters biological diversity, biogeochemical cycles and land surface-atmosphere interactions, thus threatening the sustainability of commercial livestock production systems that are the foundation of rural economies, Wilcox said. “Maintaining remnant grasslands and restoring degraded grasslands for people who depend on them will require a new paradigm for woody plant encroachment: one that views this phenomenon as a complex social-ecological system within which coupled biophysical, social and cultural processes operate and dynamically interact,” he said. Wilcox said a variety of ecological and socio-economic facets have been studied independently, but not as coupled, interdependent components at regional scales, as their project will do. “Guided by our conceptual woody plant encroachment social-ecological framework, we have identified important knowledge gaps in our understanding of this ongoing event and designed a research program to fill those gaps,” he said. To test their hypothesis, Wilcox said they will develop a dynamic, repetitive and evolving agent-based model linked to analyze factors influencing decision-making by land managers with respect to the use of prescribed fire as a management tool. The model also will forecast changes in regional woody plant cover and ecosystem carbon mass under different scenarios of fire use; project the effects of change between grasslands and woodlands on portfolios of ecosystem services including forage production, groundwater recharge, stream flow and carbon sequestration; and translate changes in ecosystem services into economic metrics, he said. Wilcox said when the study is complete, they will be able to provide for the first time a region-wide assessment of the coverage of woody plants and estimates of how fast the transition from grassland is proceeding – information that will be critical for the formulation of policy and coordinated action. Additionally, he said, the team will provide new modeling approaches that link social processes with biophysical ones, thereby enabling scientists to understand feedbacks and threshold responses, and to anticipate behavior. “This realistic scenario analysis built on such information will give us the ability to educate policymakers as they seek to deal with woody plant encroachment,” Wilcox said. The modeling will allow an explicit clarification of tradeoffs accompanying various climate and decision-making scenarios and their likely influence on rural communities and economies, he said.